Rayavadee in Krabi, Thailand has announced a Bonus Night Summer Offer for new bookings received until 28 February 2018 for travel to the resort from10 May to 31 October 2018. Bonus nights are capped at a maximum four nights i.e. applicable for 3 +1, 5 +2, 7 + 3 and 10 + 4 paid and bonus nights. The Bonus Night Summer Offer is based on contract rates for Deluxe Pavilion category only and includes daily breakfast, an additional bed and third person occupancy. The offer can be combined with Honeymoon Offer only. 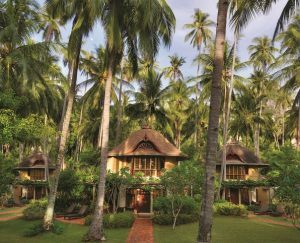 Bookings of the Rayavadee Bonus Night Summer Offer can be made through preferred Thailand wholesalers or email Svetlana Jovanovic at The Unique Tourism Collection on svetlana@uniquetourism.com quoting AUS Bonus Summer.